This project was crazy!!! I can’t believe I spent so much time on it. 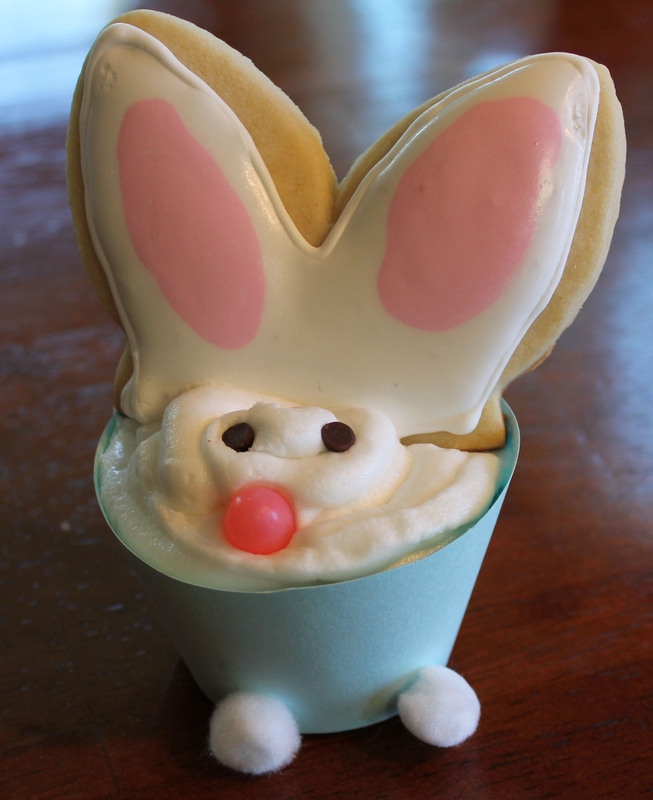 I saw this pin and fell in love with these adorable bunny cupcakes. I read and re-read the instructions and I thought I could re-create these! I came close, but in my mind this was a FAIL! I may try this again taking into account the lessons I learned along the way! 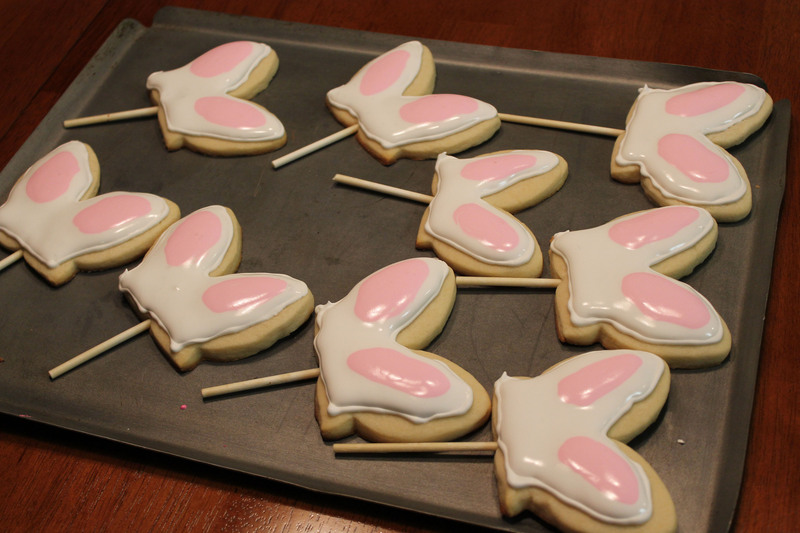 The first step was to make the sugar cookie bunny ears. I found a cookie cutter that was the exact shape as in the tutorial. Later on, I find out that my cookie cutter was in fact the same shape, but probably twice as big as the one in the tutorial! This made for very heavy ears that didn’t stay up! 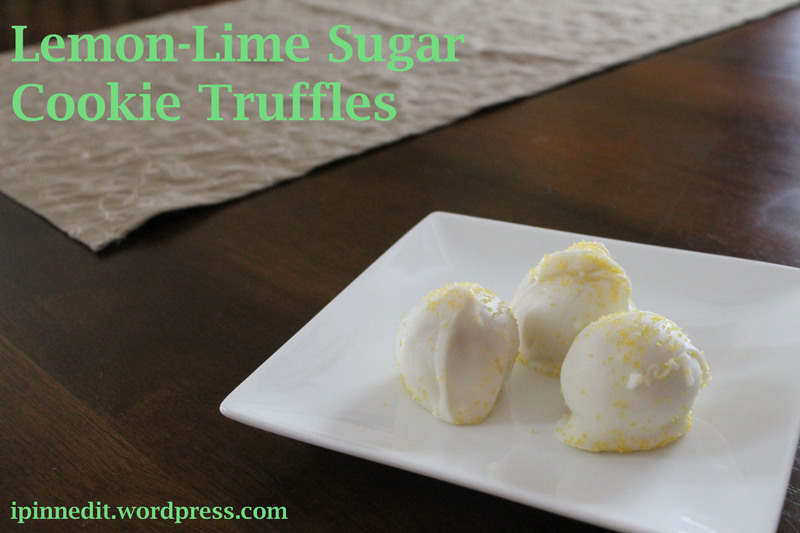 I used sweetsugarbelle’s recipe. The recipe was delicious and easy. The best part is that you don’t have to refrigerate the dough before baking! I had sticks leftover from cake pops, so I baked them into the cookies. This worked out well, but some of my cookies cracked and I couldn’t use them. Lesson #1: Make extra cookies in case you have casualties! I let the cookies sit overnight and frosted them the next day as suggested in the tutorial. I’ve never made royal icing before, so this was another challenge. I used sweetsugarbelle’s royal icing recipe. I watched tutorials on royal icing so I knew what I was working with. I have to admit that I was a bit nervous to try something new. I made piping icing and outlined the sugar cookies. Then, I used flood icing to fill in the cookie. I used the wet-on-wet technique to fill in the pink ears. Now, look at me, I sound like I know what I’m talking about. Haha! These turned out great! I read that it takes at least 8 hours for the icing to dry, so I let them sit out overnight. By the next morning, they were still very very wet. And they were still wet the day after that. They kind of bubbled up too when they dried and were not smooth looking. Lesson #2: I did something wrong with the royal icing. Perhaps, the flood icing was too thick and that’s why it didn’t dry? I’ll have to research this further and figure it out! Next, it was time to make the cupcakes. I just used a good ole box mix of yellow icing. I saw that in the tutorial, she cut the cupcakes so they were flat, so that’s what I did! Then, it was time to make the adorable cupcake wrappers. This was my favorite part of the entire project. 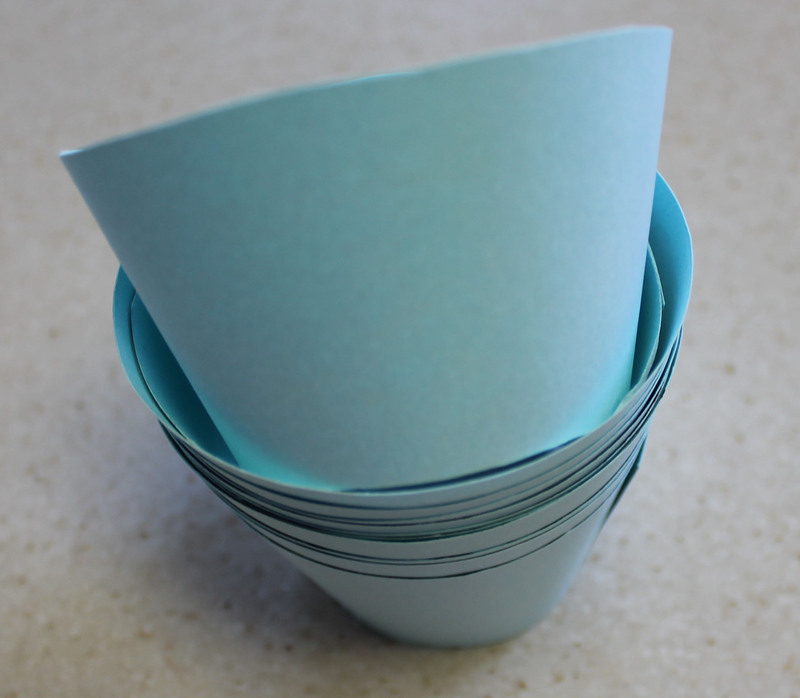 I used this cupcake wrapper template! I printed out the template and traced it out on my blue cardstock. I cut out the wrappers and fit them around my cupcakes to make sure they fit. 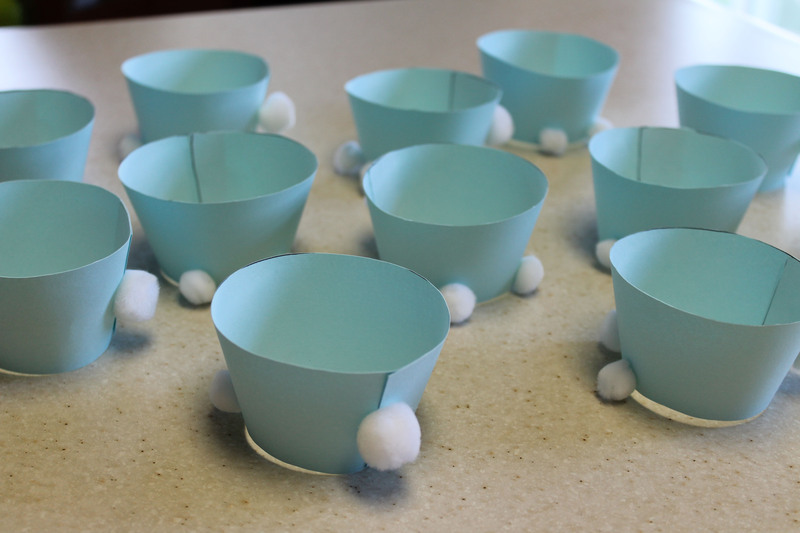 Then, I blued them together with regular Elmer’s glue. Then, I attached the white pom pom balls for the tail and feet! ADORABLE!!! I them whipped up a batch of butter cream icing. I used Wilton’s recipe. 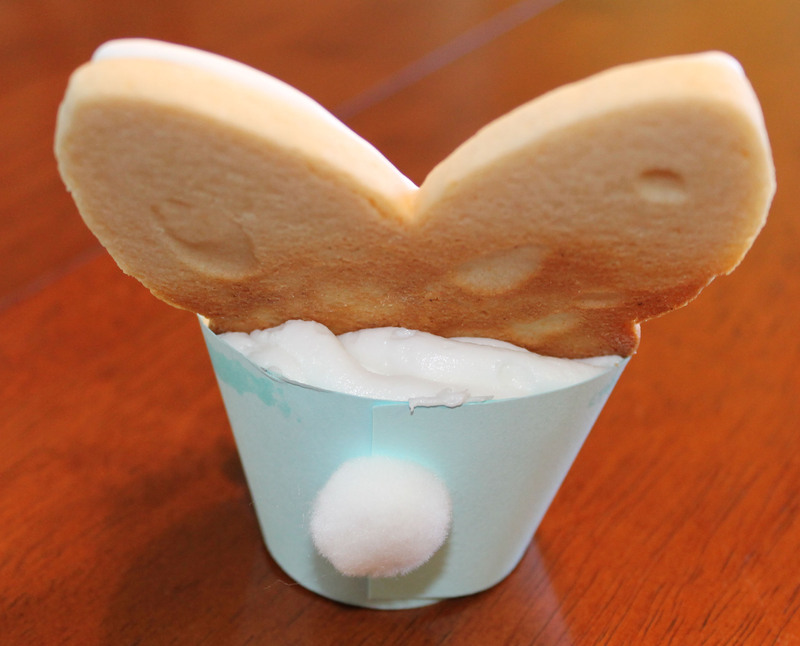 I wasn’t sure what kind of icing was used in the tutorial for the bunny cupcakes. I read that royal icing hardens and wouldn’t be a good choice to top a cupcake, so I made butter cream. I’ve never added almond extract to my icing before and gave it a try! Big mistake! Lesson #3: Don’t add almond extract to butter cream icing. I don’t know if I put too much in or what, but even my 4-year old wouldn’t eat it. She said “it tastes too much like cherries”. I scooped my icing into an icing bag and frosted my cupcakes. I realized that I needed way more icing than I had. To get a big mound of icing, you need tons of it! 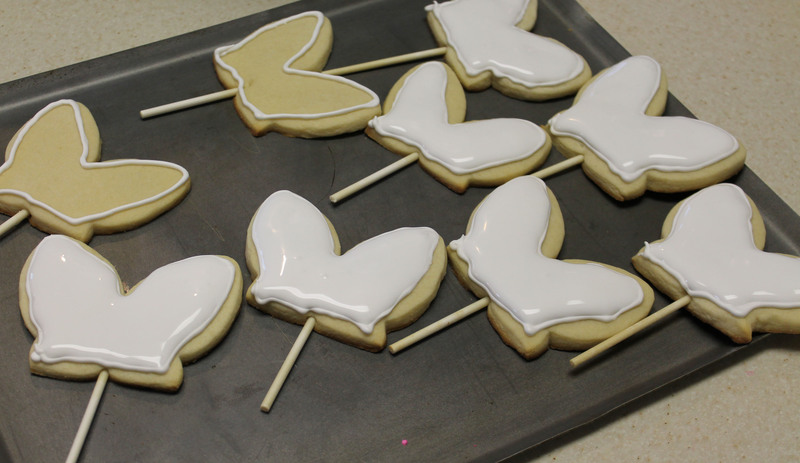 Lesson #4: Make lot’s of icing! Also, I didn’t understand why I’d shaved my cupcakes flat. I think the mound on the top of the cupcake would have helped to shape the icing. Lesson #5: Don’t shave the top off the cupcake! I like to wait overnight to let the frosting harden a bit before decorating. Okay, so when I added the ears to my cupcake, this is when I realized my ears were way to big. They fit in okay, but within 20 minutes had fallen out of the cupcake! 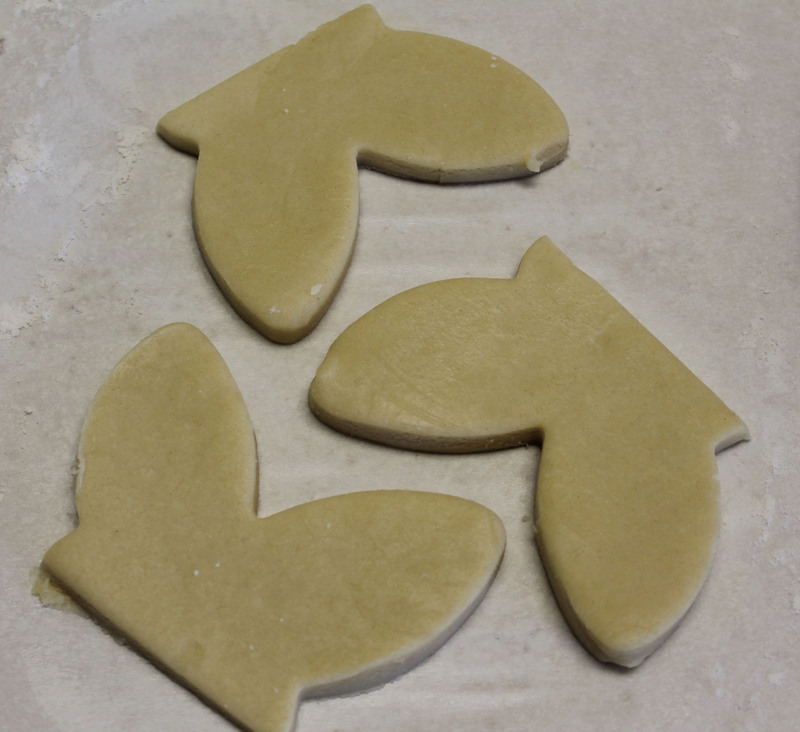 Lesson #5: Use a smaller cookie cutter. I used mini chocolate chips for the eyes and a pink jelly bean for the nose! So, this was a learnning experience. It was worth the huge smile on my daugher’s face when I presented her the cupcake. She didn’t like the icing, but the cookie was amazing and so was the cupcake! Substitutions: I used chocolate chips for the eyes and jelly beans for the nose. I will try this again taking into account the lessons I’ve learned along the way! 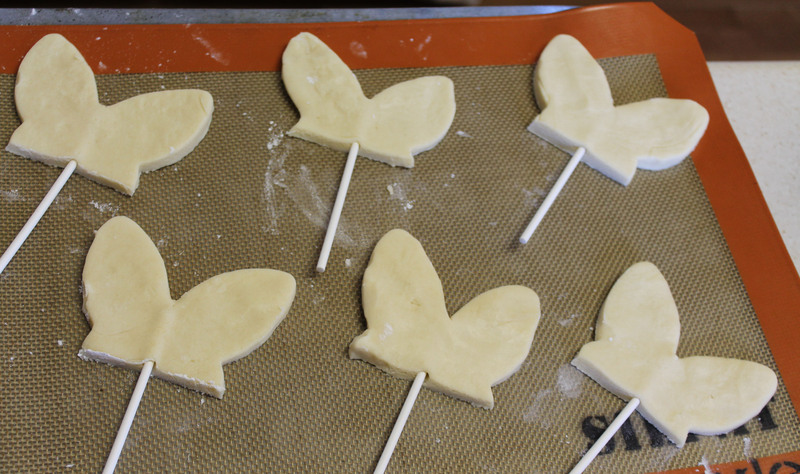 And, I want to experiment a little with royal icing!